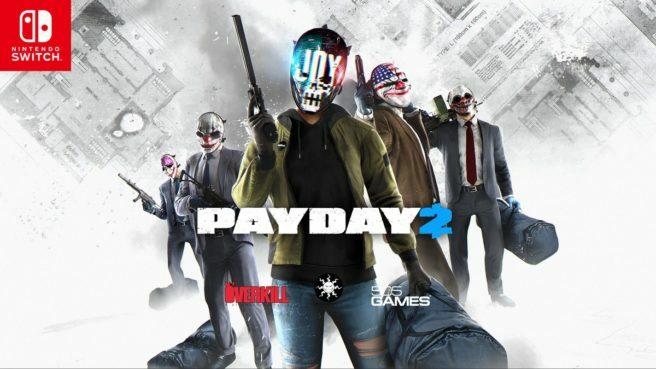 Payday 2 finally landed on Switch this week (late last week for folks in Europe). Digital Foundry is back again to look at how the game is from a technical perspective, and unfortunately, the optimization here is lacking compared to its console counterparts. Digital Foundry first tackles resolution. When docked, Payday 2 runs at 1600×900 and 720p in portable mode. The main issues start when examining the quality of settings that have either been reduced or entirely disabled. Like the PlayStation 4 version, Switch has a low texture filtering quality. Textures also run at a paired back resolution on Switch. Shadows don’t fair much better. On the bright side, Digital Foundry does say that these drawbacks may not be noticeable “in the heat of the action”. Payday 2 does have similar object draw distances on Switch when compared to the PlayStation 4 and Xbox One, so scenarios play out in the same way. One possible benefit is the removal of chromatic aberration depending on your preference. As for frame rate, Payday 2 targets 30FPS, though can be many drops based on the level you’re in. The game generally runs between 20 and 30 FPS. Also, it’s worth noting that Payday 2 takes more of a hit here when playing in portable mode. That’s just a summary of Digital Foundry’s findings, but you can watch the full analysis below.